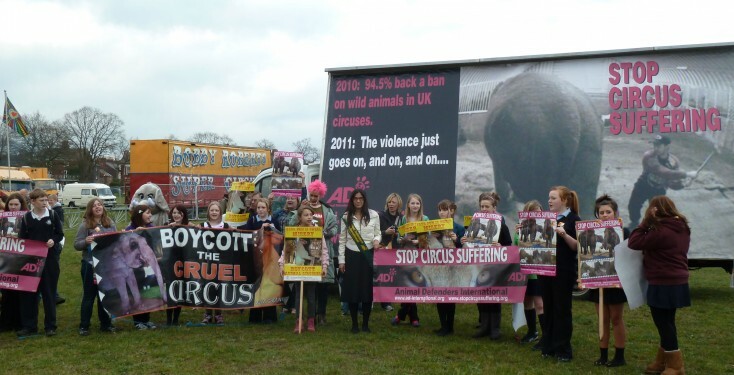 Speak out when the circus comes to town! This is disgusting that such cruelty to such beautiful animals still goes on – stop it now! The people that does this are disgusting – put them in a cage and throw away the key! Duffy’s Circus. Throughout Northern Ireland over next two weeks. Daily protests via Northern Ireland says NO to animal cruelty on Facebook. I love this site, and am going to get involved in this, i never knew how to help these elephants, after sitting here crying for days and research i can now do something to at least help! Save our elephants!!!! Please nomore torture!!! I don’t know how much animals are still a part of our local circuses in Dublin. Any info on this subject is welcome. I will do everything I can to stop all animals circuses from exploiting the poor creatures that do not have a voice.